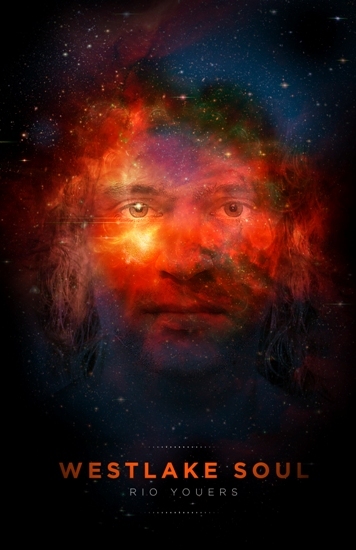 Take away the disturbing social and psychological implications of this deconstruction of free will (! ), and you’ve got a typically delightful, touching Pixar film. The basic plot centers around Riley (voiced by Kaitlyn Dias,) an eleven-year-old daughter of supportive, hockey-crazy parents (Diane Lane and Kyle MacLachlan) who is going through some tough life changes. Her dad is having ever-present but obliquely mentioned financial problems, and her parents move her from her much-loved home in Minnesota to a small, shabby San Francisco pad. Luckily (? ), the celebrity-voiced personifications of Riley’s feelings are there to help. Joy (Amy Poehler) runs the show, and under her watchful eye everything is mostly fun and pleasant, though when Sadness (Phyllis Smith) interferes Riley’s mood transitions, predictably, from sunny to gloomy. Anger (Lewis Black) fumes and rages while flames literally leap from his crimson head while Fear (Bill Hader) timidly and neurotically weighs the possible risk in any given situation. Disgust (Mindy Kaling) is kind of the queen bee of the group, adding a dose of much-needed snark. Riley’s feelings are kind of a dysfunctional little family held together by the same circumstances (i.e. they inhabit the same brain,) but Joy fails to recognize that melancholy can a valuable, even healthy part of the spectrum that makes up the self until she and Sadness are inadvertently cast into the outskirts of the mind and Riley suffers a kind of an emotional shut-down. Tender and funny, “Inside Out” didn’t hit me in the feels as much as “Up,” an earlier effort and a personal favorite of mine, but it is an enjoyably creative adventure through an eleven-year-old girl’s mind. If the visuals of the dreamscape that Riley’s emotions inhabit was half as fun to create as they were to watch, then they must not have felt much like work at all as much as a veritable artist’s playground. Aesthetically, Pixar studios has done it again. “Inside Out” looks gorgeous, both within Riley’s mind and out on the streets, school, and hockey rink she inhabits. “Inside Out”‘s success both visually and in terms of storytelling and pathos prove that filmmaker Pete Docter’s mastery of the craft in “Up” was not a fluke. There’s a lot of psychological jokes that most kids (and maybe certain adults) won’t get but there’s a distinct lack of the thinly veiled sexual humor that Dreamworks flaunts like a Harvard degree. “Inside Out” has a pensive, melancholic quality that captures the insecurity and fragile uncertainty of adolescence which might go right over little kids’ heads, but they’ll be sure to enjoy the bright visuals and buoyant humor. Parents are likely to empathize with Riley’s parents’ financial and familial struggles without their woes overwhelming the picture. A few parts of the film seem to drag along a little longer than they should, such as the abstraction sequence, but overall “Inside Out”is an outstanding film the young at heart or those who remember being young, when setbacks felt like crushing failures that seemed like they couldn’t be assuaged or mended with time, and life was made up by the highest of highs and the lowest of lows. This juxtaposition of jubilation and misery, through a child’s innocent eyes, is what makes “Inside Out” a truly singular experience. Okay, so I like “Air Bud.” What can I say?- I was a 90’s kid. Unfairly maligned because of its truly awful sequels, “Air Bud” certainly isn’t the best ‘boy and his dog’ movie out there, but you could do worse for a rainy Saturday afternoon with the kids. Sure, there’s more slapstick than a “The Three Stooges” episode (rule of thumb- if there’s a decadent cake introduced at the beginning of a scene in a children’s movie, said cake will be fallen into before the sequence is done,) but there’s genuine heart too. Maybe I’m seeing it through the distorted lens of a former soppy, dog-loving preteen, but I believe it’s there. 12-year-old Josh Framm (Kevin Zegers) is having a rough year- his pilot dad died in a plane crash, he’s starting up at a new school, and the bullies have picked him as the target for mild but annoyingly insistent bullying.) Josh has probably been struck by the puberty fairy too, though the more sensitive implications of this have not been touched on for obvious reasons. He’s moody, distant, and unresponsive to his mother (Wendy Makkena)’s attempts to reach him. Into Josh’s life walks Buddy, an abused, highly intelligent Golden Retriever on the run from his children’s entertainer owner, Norm Snively (Michael Jeter) who’s not a very nice man at all. Buddy takes some urging due to his fear of people, but ultimately proves to be a good and loyal friend to the lonely Josh. Soon, it is revealed that Buddy has a secret- he can play basketball!- and the lovable dog serves as an icebreaker to help Josh get over his shyness and play sports with his classmates. I really like the late Michael Jeter as a character actor- unfortunately, he doesn’t have much to do here except be knocked into everything. Still, he’s fine in the role he was given, and offers a few laughs (mostly to very small children.) 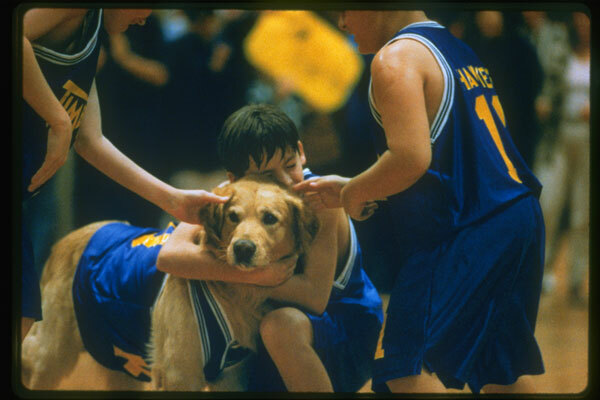 Nevertheless, “Air Bud” is a cute movie with several good subplots going for it. 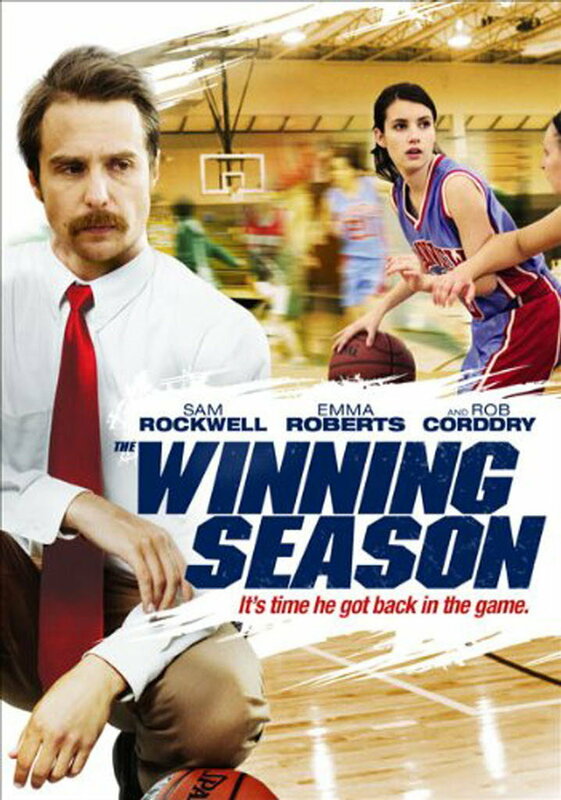 One of these concerns Arthur Chaney (Bill Cobbs,) a former basketball star who now works as a simple janitor at Josh’s school, and offers his friendship and guidance to Josh and ultimately, to the team. The heart of the film is Josh and Buddy’s relationship, which is carried out effectively for this kind of movie. By allowing plenty of scenes of Josh and Buddy simply spending time together, the movie lets us root for their friendship- which is threatened when the dastardly Norm returns on the scene. I like the way Buddy is allowed to act like a dog, despite his extraordinary sports-playing talents, and I like how Josh has to win his trust by laying down a trail of vanilla pudding containers. Frankly, I still like this movie from when I was a kid and I enjoyed watching it with my 11-year-old sister and listening to her laugh. 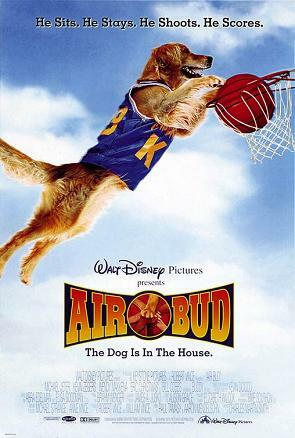 “Air Bud” isn’t a great movie by any means, but it’s cute and charming and fun. Let me just save you the time and tell you not to watch the sequels. If your kids have any sense, even they will hate them.